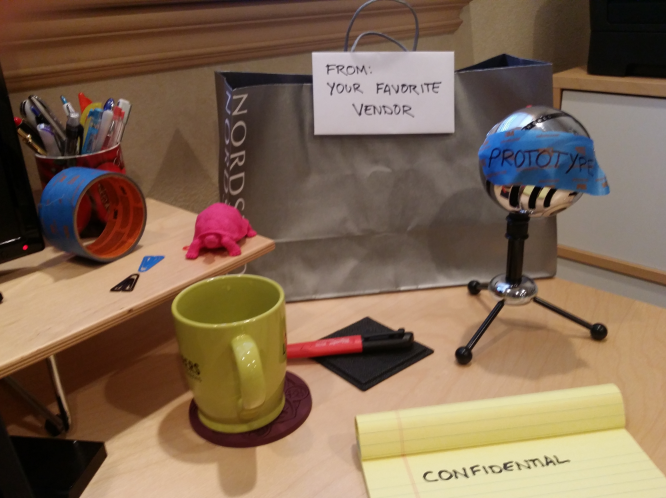 With the HCCA's Corporate Compliance and Ethics Week 2015 coming up in the first week of November, here's a few ideas for in-person games that we posted on the SCCE/HCCA's messageboards the other day—including a template you can use to execute the Willy Wonka-inspired "Golden Ticket" game in a jiffy. 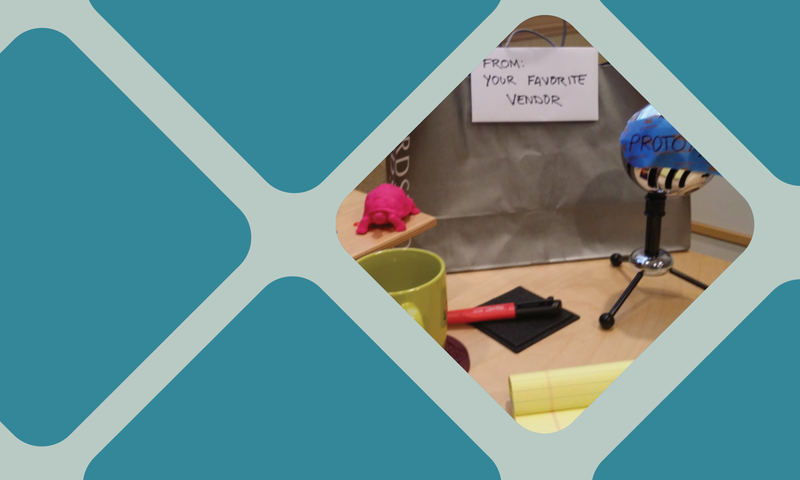 Instructions: Grab a spare desk and clutter it up with office supplies so it looks in use. Add elements that should be red flags for risks (see below) and take a picture with your smartphone, then distribute the picture by email/newsletter and ask employees to send in all the risks they can spot. You can reward the best answer (or answers) with a prize. This game works pretty well with an international workforce since it requires little-to-no text to make it work, and it transfers easily to real-world risk-spotting. Instructions: Create a fake confidential document that you can print out—it should look be in the general format of your most important type of documents, but be clearly marked as a training document in the header. If you don't have a specific document type you're concerned about, you can grab an editable Powerpoint version of the below template by clicking here. 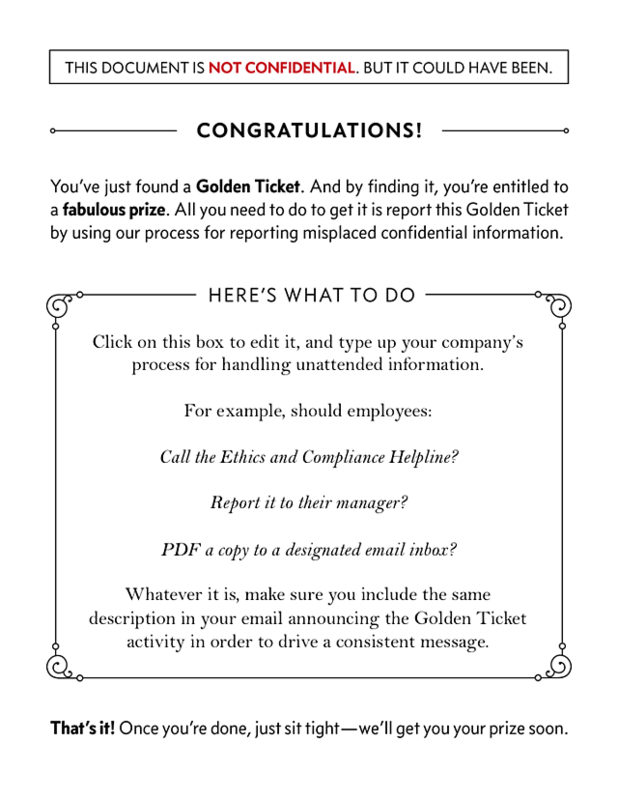 To help recruit employees into being proactive on managing confidential data, you’re going to send an email to employees letting them know that you’re leaving these documents (the "golden tickets") in strategic places throughout the office during Compliance Week, and people that find and report them—according to whatever your process is for doing that—will win a prize. Basically, you’re going to be like Willy Wonka, except not terrifying. Next, print out a bunch of these golden tickets and hand-number them so you can keep track of how many you have and how many get reported. You're going to drop them off at key places where you’re concerned about confidential information being left out unattended—by a printer, for example—and wait for them to be reported. 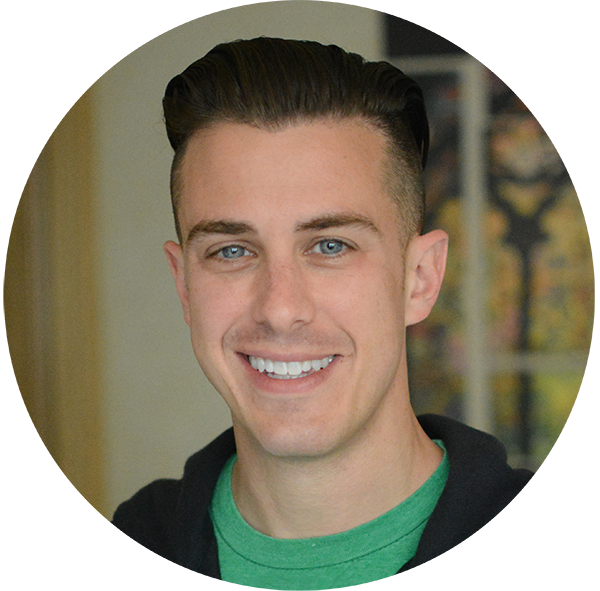 If you’re in charge of multiple sites, you’ll need to recruit co-conspirators to handle this at the site level. After they’re all reported (or enough time has passed), send a follow-up email announcing the winners and following-up with more messaging on handling data the right way.